The Japanese preoccupation with Bitcoin is legendary. The land of the rising sun moves 11 percent of all global Bitcoin trading volumes. It is also at any given time either the first or second runners-up largest Bitcoin economy globally. Perhaps Satoshi Nakamoto’s Japanese name serves as an initial attraction, but the country’s interest in cryptocurrencies has deeper roots. The nation has been at the forefront of technological advancement. All cool gadgets once came from Japan; Nintendo to Sony to bullet trains. It does not come as a surprise then that this culture would be at the forefront of the adoption of technology as cutting edge as blockchain. Soon travelers on East Japan Railway Company’s (JR East) trains could foot their bill using cryptocurrencies. JR East is working with IIJ an internet and cloud service provider to roll out this service using Suica, the train company’s Smart-cards. 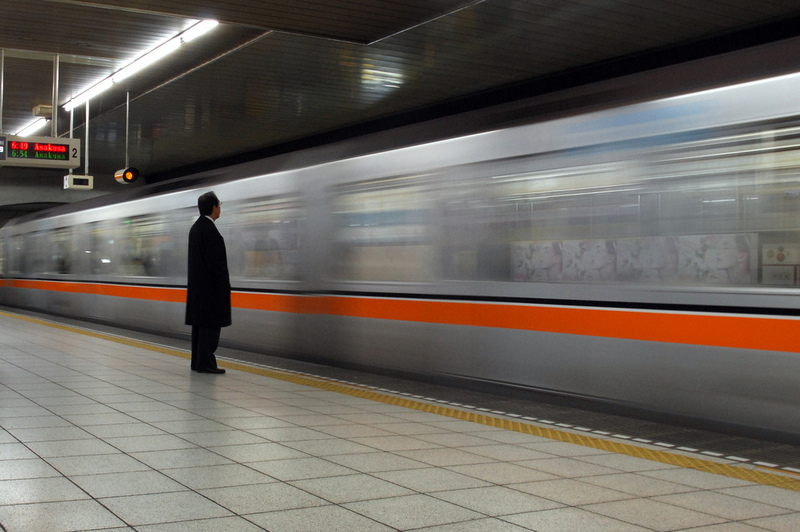 JR East makes more than six billion journeys annually and owns at least six of Japan’s busiest train stations. This implies that the transport company’s smartcards already accepted in over 580,000 shopping outlets could go mainstream. There are currently over 75 million Suica smartcards in circulation in the 127 million population country. IJR’s collaboration with DeCurrent a crypto exchange could see Suica cards pay for more than train tickets. It essentially could take cryptocurrency payments mainstream paying for all anything from tiramisu to tea. Japan is an interesting case study for the mainstream adoption of cryptocurrencies because it is mostly a cash-based economy. Its immediate neighbors South Korea and China have quickly gone cashless, but it seems that the Japanese have not found use cases for electronic and mobile payments. So will they really ditch their treasured banknotes and coins for digital wallets? Japan has over 3.5 million cryptocurrency die-hard traders; die-hard because even after the Mt. Gox and CoinCheck mega-losses, their enthusiasm for Bitcoin and crypto never waned. You would think their government’s friendly stance towards cryptocurrency trading would change with the hackings. Surprisingly, the authorities have further embraced the technology, and today it is the first nation on earth to recognize cryptocurrencies as money—not legal tender—but assets subject to tax. Is Japan Readying for Crypto? And as Japan seeks every means possible to go cashless in preparation for the 2020 Tokyo Olympics, it could be that cryptocurrency adoption will grow alongside other means of cashless payments such as QR codes. Prime Minister Shinzo Abe and his government plan to increase the adoption of cashless systems by up to 40 percent by the year 2025. The government has been giving tax breaks and other incentives to companies adopting cashless means of payment. A hefty 42 percent of these companies turn a blind eye to credit card payments because of the hefty fees they are associated with them. Running cash-based system costs Japan over $18 billion in expenses per year. These costs pay for ATM maintenance and currency transportation costs. Crypto payments, on the other hand, have minimum charges so they could solve this problem. Could this be the use case Japan needs to embrace digital wallets?